Good afternoon everyone! Today I have another Cosmoprof find to share with you guys. 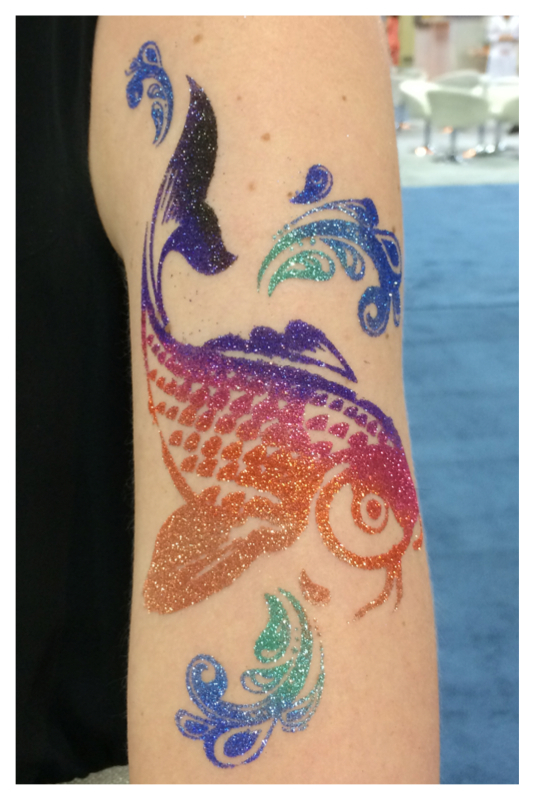 Tattoo Junkee was hands down the best booth at Cosmoprof! It was tons of glitter in makeup products so a big win for me. 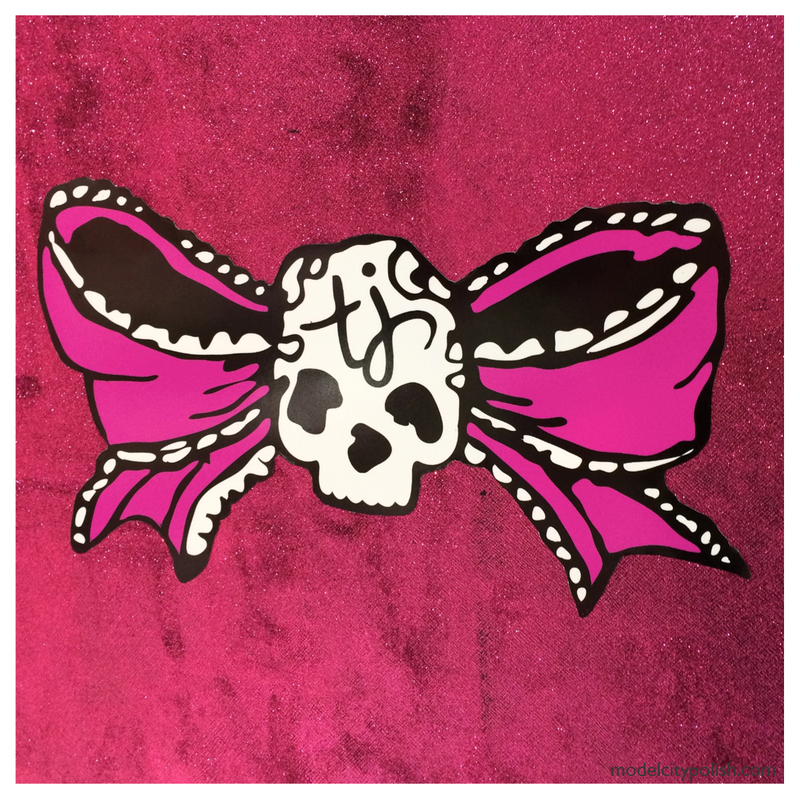 Tattoo Junkee can pretty much cover you head to toe in fantastic, cosmetic grade glitter. 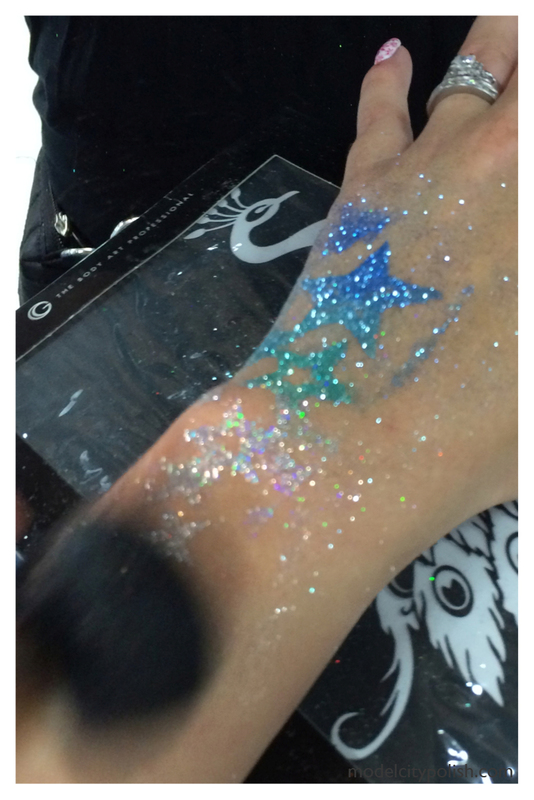 First let’s talk about the amazing glitter tattoos. 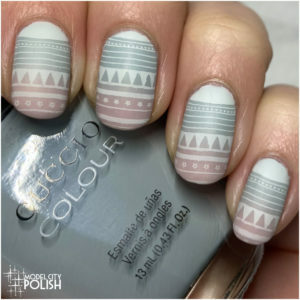 This is a crazy easy glittery tattoo option for those fun nights out on the town or when you just need a little more glitter in your life. For the process you lay a self adhesive body stencil in the desired spot. Once you have it where you want, you brush on body glue that will dry clear. While the glue is still wet you want to remove the stencil. Now is where the fun comes in! 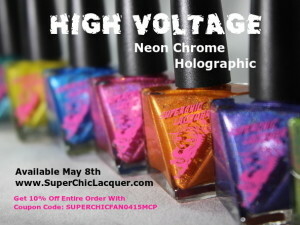 You can pick one color of glitter or various colors to create a fantastic gradient. I of course picked blues and silver for my glitter tattoo. All you do is lightly brush the glitter over the glue. Now let it sit for a few minutes to fully dry and then you can wipe away the loose glitter. The finished product looks amazing and lasts a LONG time. Seriously you get days out of these with no wear or glitter lose. 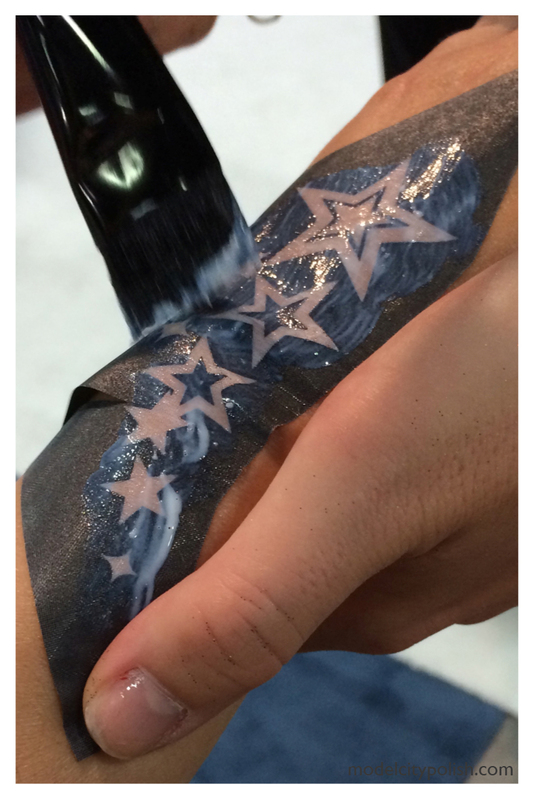 And to show the really amazing looks you can create, check out this awesome arm work! As soon as I saw this koi fish I fell in love and wished I could wear this everyday for the rest of my life. 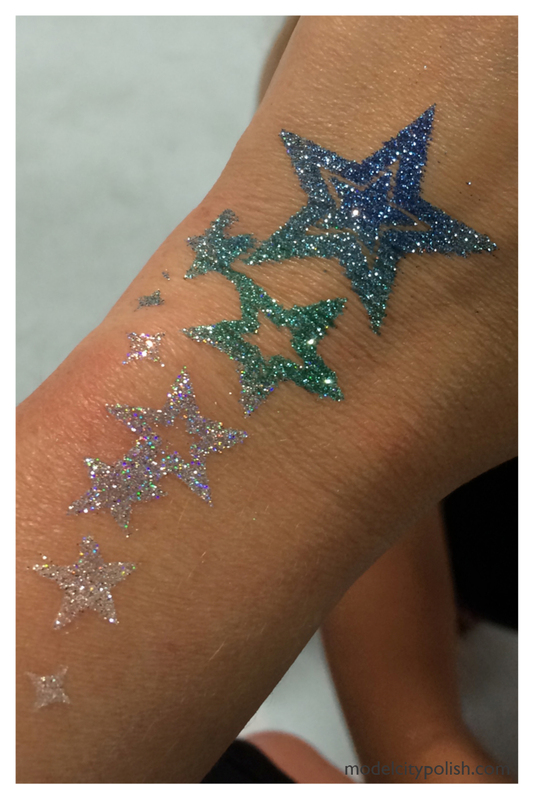 Now if glitter isn’t your thing, they also have great matte tattoo options. Tattoo Junkee was kind enough to send me home with a matte kit to share with you guys. 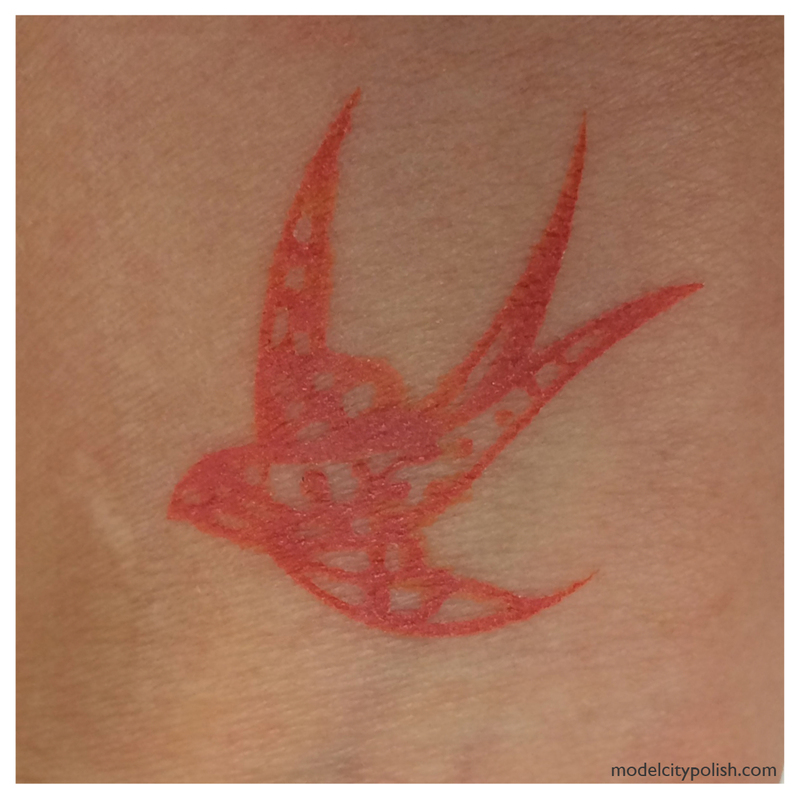 For a simple tattoo I used the Imagine Body Stencil with the Matte Finish Henna Brown dye. This option does not last as long as the glitter art but you will still get a full night of fun with no wear. Now for some great cosmetic options. 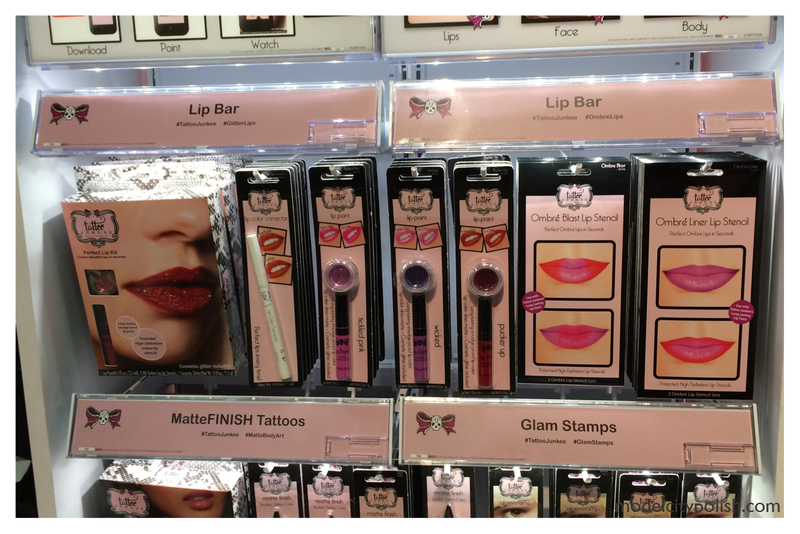 Tattoo Junkee has a wide range of fun lip products ranging from lip glitter to ombre lips to corrector pens. 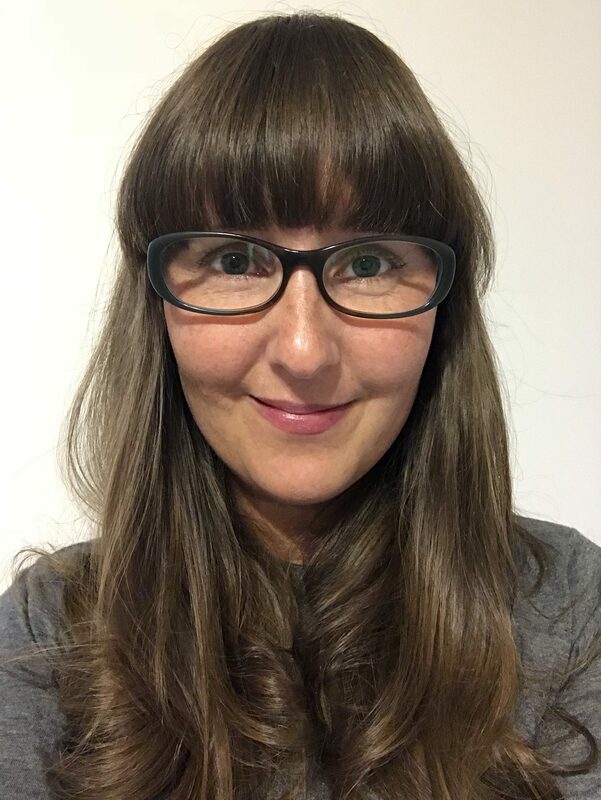 Me personally the ombre lips look fabulous and I have to try them out! 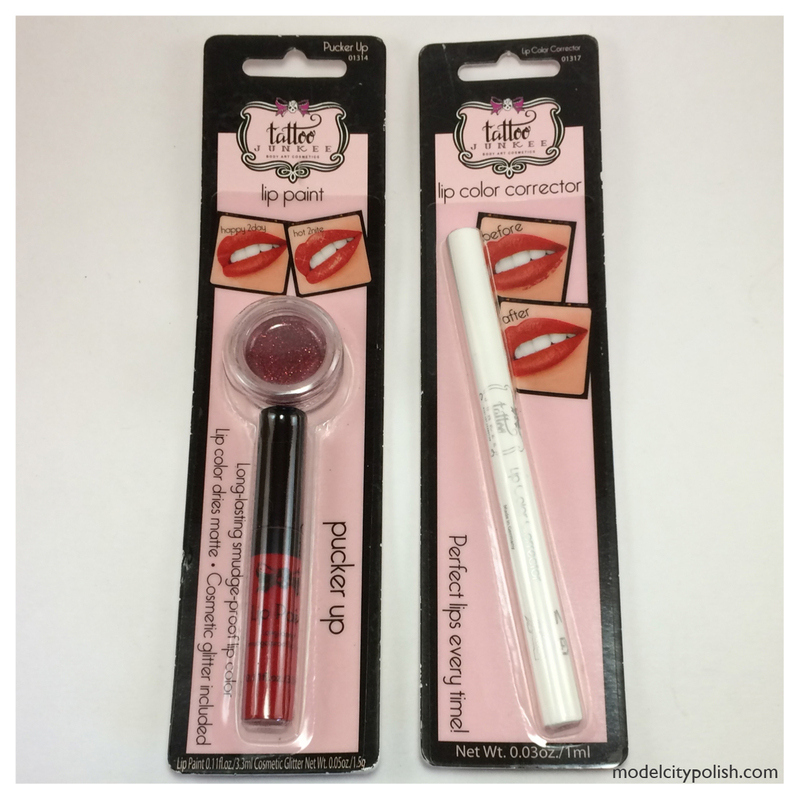 I was sent home with the Pucker Up (Red) Lip Paint with a red glitter pot and corrector pen. The stain is AMAZING!!!! 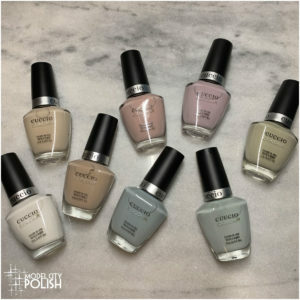 The coverage is amazing and dries to a stain finish so no need to worry about transferring. This stuff will last all day and night. 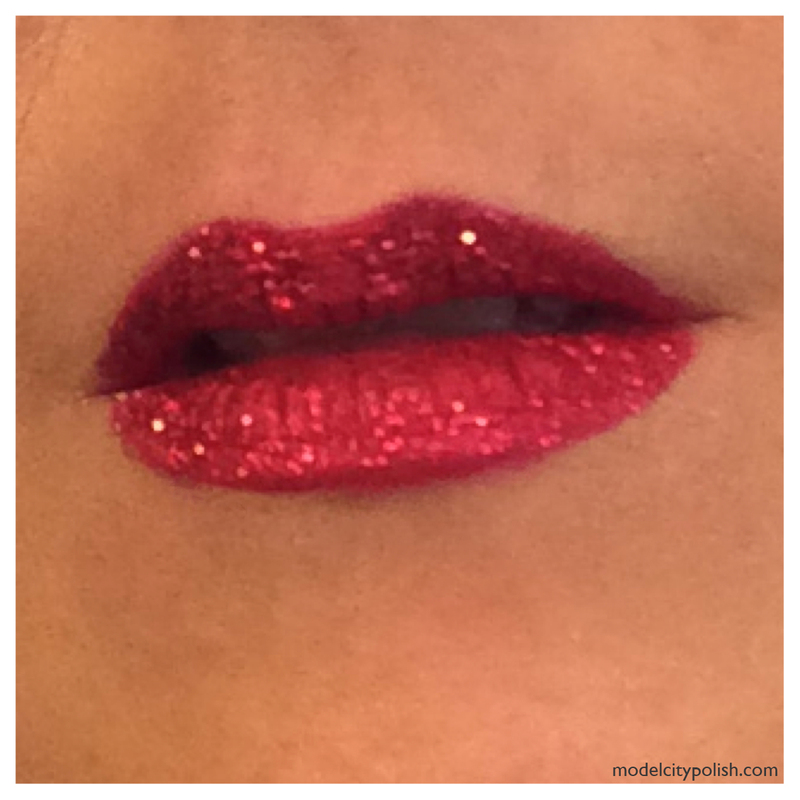 You can go from daytime red lips to red glitter lips with ease. 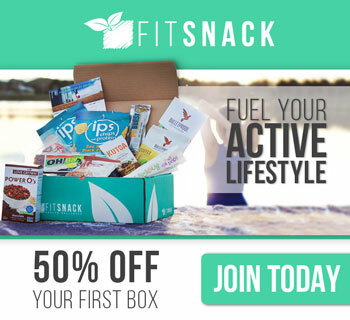 These products were provided for review but that does not influence my review. Yessss. This is right up my alley! I love all the glitter. I will check them out for sure!